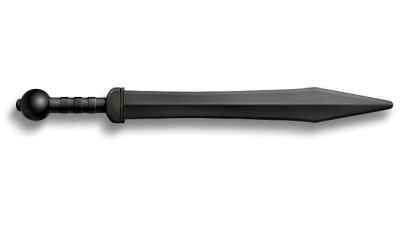 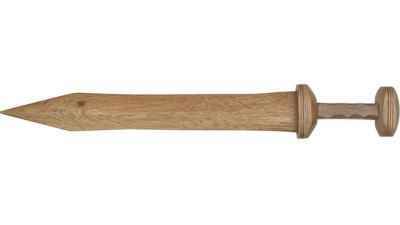 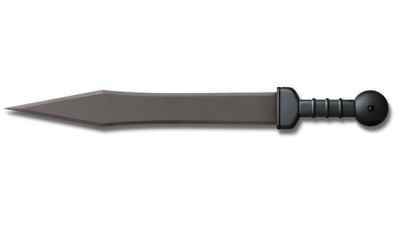 The Roman sword is one of the most famous of all weapons. 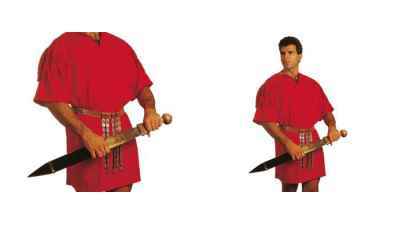 Roman legion infantry along with Roman shields, pilums, spears and breastplate or lorica segmentata used it, however it is still the Roman sword that we most recognize. 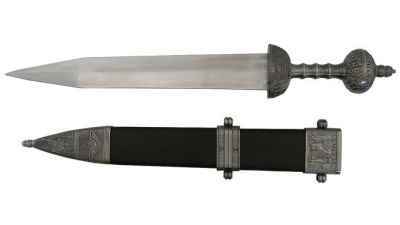 Earlier examples of the Roman sword such as the Mainz pattern were wider wasted blade as compared to the later model of the Pompeii sword with was slightly narrower along with a straighter blade. 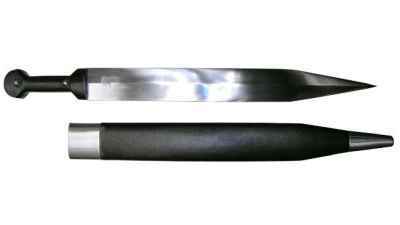 The term gladiator comes from the use of the gladius sword by these fighters in the arena. 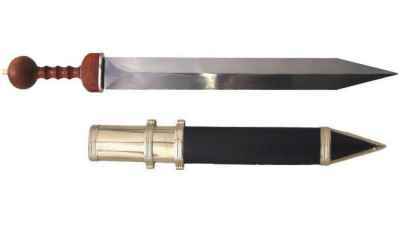 Made by the government contractor Windlass Steelcrafts. 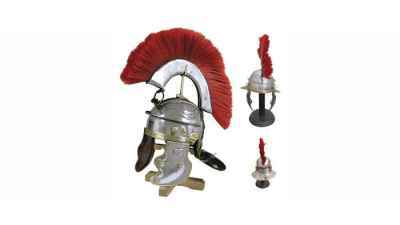 This Roman Gallic Helmet is handcrafted using 18 gauge steel and boasts classic brass accenting. 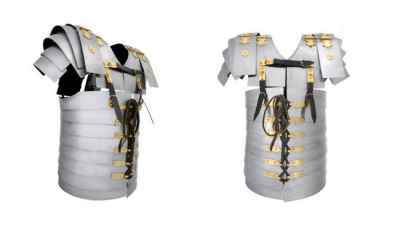 Solidly constructed in 18 gauge steel and based on an original piece, this Lorica Segmentata will fit chest sizes up to 44" (over garments). 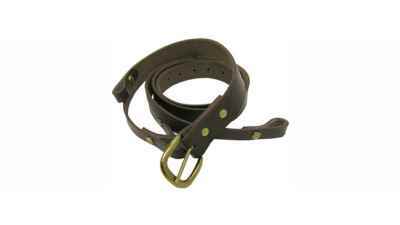 The Roman soldier's belt is primarily ornamental signified rank of officers and soldiers was called a Cingulum Militaire. 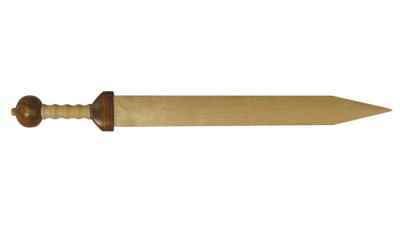 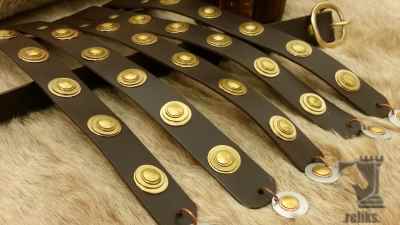 Use this fine quality leather Roman styled baldric to complete many of your period outfits.